While we primarily deal with natural and synthetic rubbers, did you know that Aquaseal also manufactures polyurethane products? It is a valuable material because of its strength and flexibility, as well as its ability to be moulded into a variety of shapes, making it ideal for a wide range of products and industries. It can also come in a range of forms from foam to solid mouldings. So what type of polyurethane products do we manufacture? 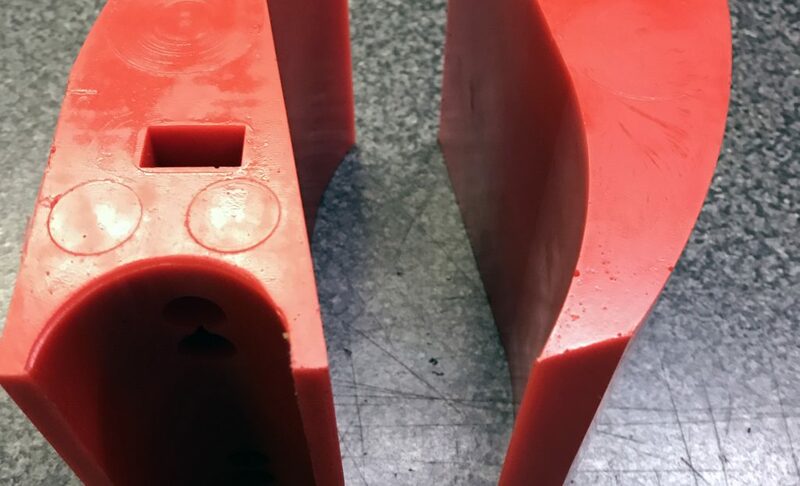 Just about anything that we manufacture in rubber we can manufacture in polyurethane. The main concern for us is making sure that our customers get the right product in the right material for their needs. This is why we ask a number of questions before suggesting a material. The same goes for when customers commission a product in polyurethane. We need to make sure that we get the specifications right so that we can deliver the quality of product we are known for. Sheeting is a very versatile method of manufacturing products as it can be centrifuged, flat cast, moulded and extruded. This means it can be used for different products in the automotive, marine, flooring and manufacturing industries. We can also use polyurethane sheeting to manufacture gaskets, seals, mouldings and extrusions. In addition to our food grade silicone, we can also manufacture food grade and medical products in polyurethane. This is dependent on which urethanes are used as some are FDA approved for foodstuffs and some are not, but we can work with our customers to decide which material is right for them. So even if you have an idea and aren’t sure if it will be possible or not, get in touch and we’ll be able to consult with you on the possibilities.